Update: The Dawson Creek RCMP has released a few more details. In total, 11 people were affected by the serious crash. Two have died, both under the age of 18, and one other young person was airlifted to hospital in critical condition and is now in stable condition as of 4:45 PM Monday. North District RCMP say that details are limited but have stated that a southbound minivan was attempting to make a left turn into a pullout area near the bridge deck when the van was struck by a northbound pickup truck. Both vehicles had several occupants inside. Two occupants of the van, both under the age of 18, were pronounced deceased while another young person was airlifted to hospital in serious condition. 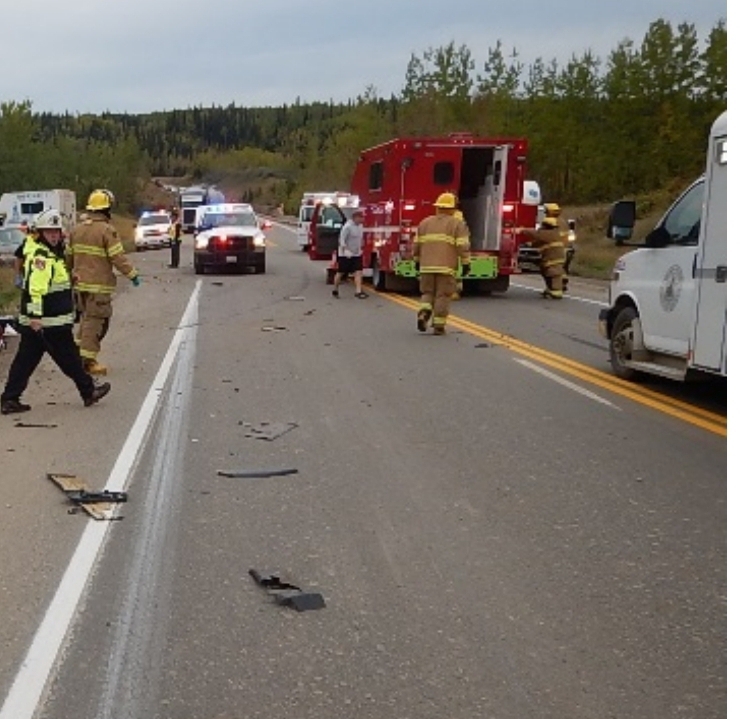 The Alaska Highway was closed for several hours for investigation. North District confirms that alcohol was not a factor in the accident. If more info is released, we’ll update.